BRANTFORD, Ont. 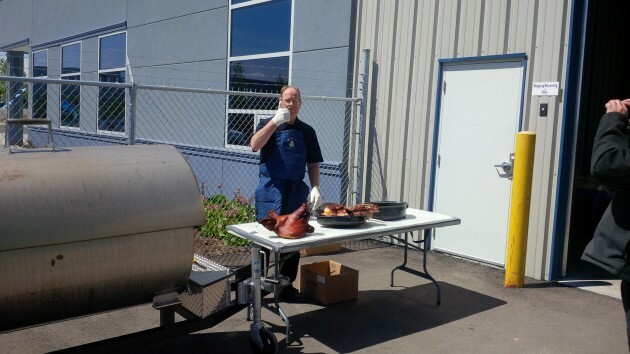 — Almost a year to the day after Trison Tarps celebrated moving into its large, state-of-the-art manufacturing facility, the company once again invited back guests for some of Trison president Paul Vandenberg’s specialty: pulled pork, straight off the smoker. 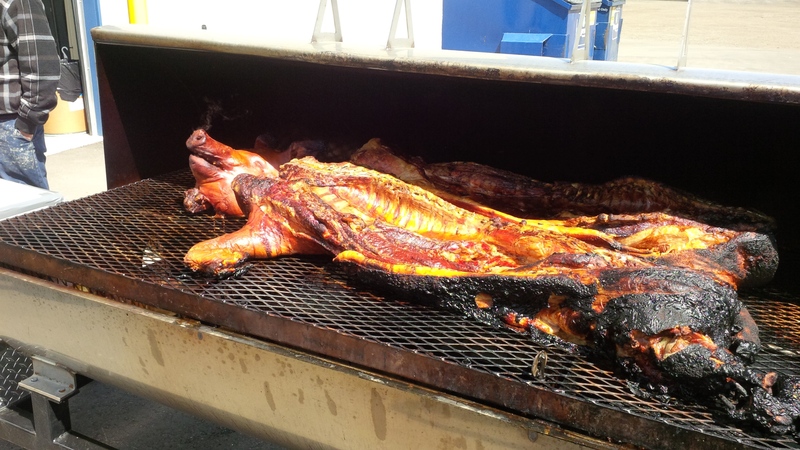 The 217-lb pig had been smoking since 4 a.m. when guests started arriving this morning at 11 a.m. The occasion this year was to celebrate 10 years in business, and more than 300 customers and industry friends were expected to file through by 3 p.m.
Trison Tarps founder Paul Vandenberg gives the thumbs up after carving into the roasted pig. It’s also a good excuse to roll out the custom-made smoker that was designed by Vandenberg’s son Doug. He has three sons – Brad, Matt and Doug – and they inspired the company name: Trison Tarps. Each of them work in the business today, along with about 30 employees in total. 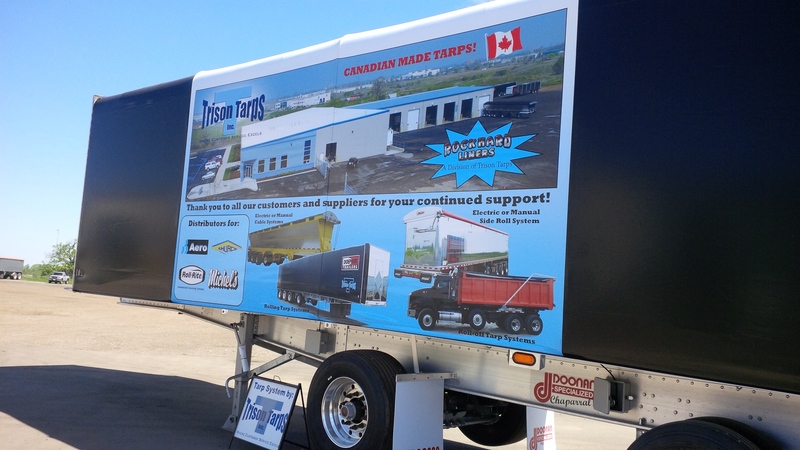 Trison manufactures its own tarps on-site. It also offers accessories and recently broadened its portfolio with the purchase of Rock Hard Liners. “We’ve started installing liners in dump bodies to complement our business,” Vandenberg said. 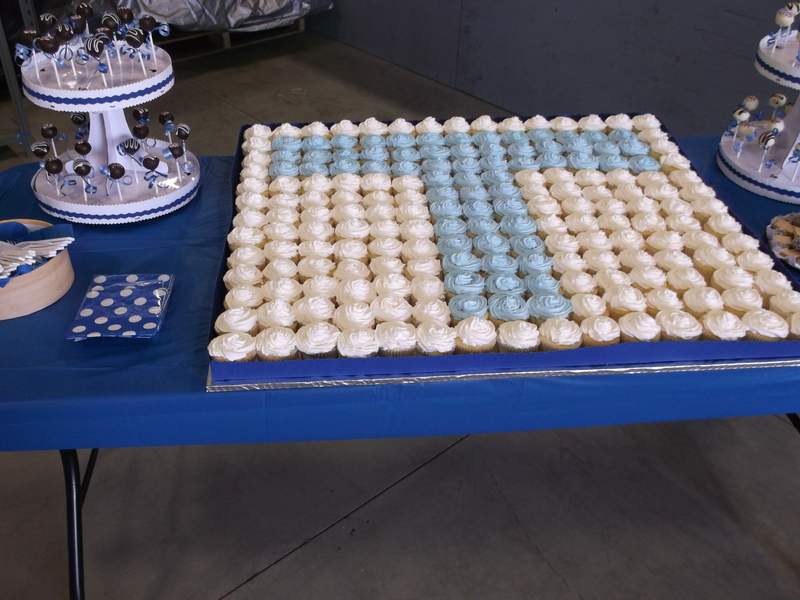 The new facility is 48,000 sq.-ft. and features a 2,500 sq.-ft. showroom and 10,000 sq.-ft. tarp manufacturing area. More than a year after moving in, Vandenberg said the transition has been smooth. Today, it was Vandenberg’s smoked pork that was the main attraction, which should come as no surprise. 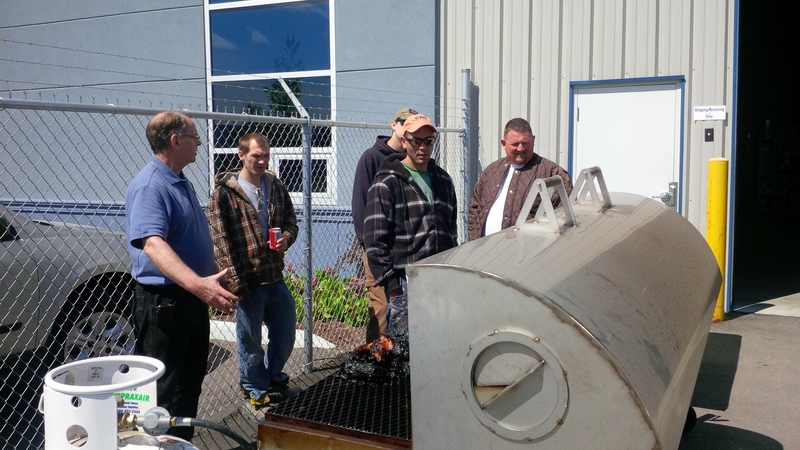 In addition to carving it up for customers and industry friends, Vandenberg puts the custom smoker to work for numerous good causes. He has cooked for more than 800 people at one church function, raising thousands of dollars for a local charity. It took four pigs to feed that many mouths.